About eight years ago, I started blogging. (That's longer than the iPhone has existed, to put it in perspective.) And my journal life took on a new face. It's amazing how much technology has changed in that time span and how many new social platforms have been introduced since then. The statistics say that adults spend an average of 8 hours online every day (the average is 10 hours for teenagers) That's more time than most of us spend sleeping! It's ridiculous and realistic all at the same time. I have talked before on here about wanting to give up social media. I've weighed the pros and cons and believe that there is more good that can be done in using it than harm. Especially with the right approach and outlook. But even if I did give up social media, or if one day Facebook, Twitter, Instagram etc. all died a slow death (Myspace, anyone? ), there is one space online I feel confident would remain. This has been the one constant in my on and off again, online relationship. The one place I can look back at my archives and not just find photos, videos or comments... but words. My words, thoughts, emotions. I can read them and re-read them and remember the moment like it was yesterday. I spent time last night reading and laughing out loud at some of the stuff I had written in 2007 when I lived in Jacksonville, FL. And some of my own words ministered to me again - and were exactly what I needed to hear. Like this one. And this one. And if those words were only meant for my encouragement, then that alone would be enough to keep me blogging. But the biggest blessing of all has come from the comments, emails and messages I have received because someone read my blog and found encouragement, comfort and best of all - Jesus. Like the one I received last week from someone asking how they could know they had eternal life. THAT is what it's all about!! I want to encourage you, if you've been teetering on whether to begin a blog or not... take the plunge and do it! Whatever stage of life you're in - single, married, children, grandchildren. There is value in what you have to say. There is value, because your life is valuable. And maybe your issue is finding the time. Well, I offer this challenge to you - sacrifice an hour of reading about other people's lives on Facebook and write about your own! It's not only healthy for your mind to write, but it's also a great way to focus on what God is doing in your life and how He is working around you. There are so many things we can easily miss if we aren't looking for them. And so many things we can easily forget if we don't write them down. Scripture says in Deuteronomy 6:9, to talk about God's word wherever we are - at home, on the road, when we are going to bed and getting up. And to write it all over our walls and doorposts. I'm going to take a 2013 liberty here and throw in the word "computer" there as well. If God meant for us to be that aware of His word in our lives, I believe that our online life is definitely not an exception. And I happen to believe that if Jesus' disciples were living today, they would blog. I mean, how else would they share all the miraculous things that took place while they were with Jesus, with the rest of the world? If you are interested in beginning a blog, I recommend signing up for a free one on either Wordpress or Blogger. (There are others, these are just the two I have the most familiarity with.) And leave me a comment letting me know if you do, because I would love to follow along on the journey God has you on! 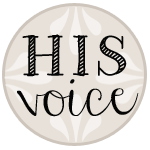 ***Also, today I am sharing an old post on my friend Amber's blog for her "His Voice" series. Just another great benefit of blogging is the built-in community that exists. 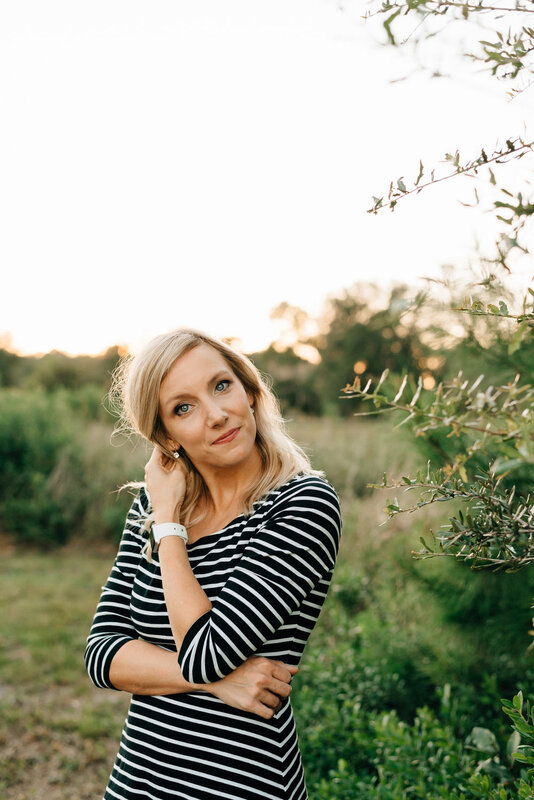 I have been blessed to find other like-minded women who are passionate about Jesus and sharing His word on their blogs. Make sure to stop by her space and say hello!